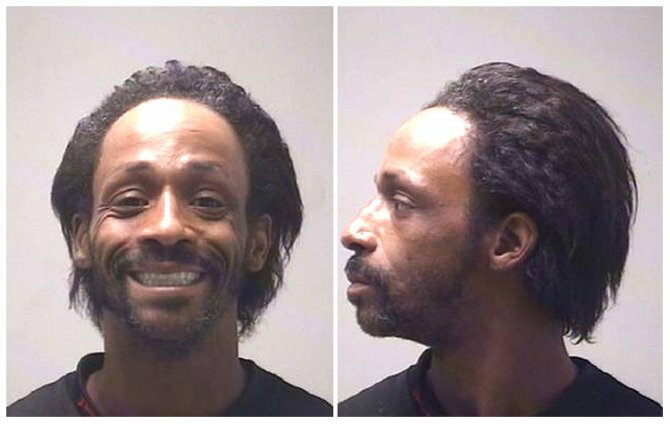 Comedian Katt Williams (real name: Micah Williams) was arrested by Georgia sheriff's deputies in November 2009 and charged with burglary and criminal trespass. According to the Coweta County Sheriff's Office, a homeowner reported to law enforcement that Williams, 38, had entered their home and taken jewelry and other items. The California resident and star of movies such as 'Friday After Next' and 'Norbit,' who is believed by police to be in Georgia working on a film, was booked into a local jail outside of Atlanta. Submitted by Midknight on Thu, 2011-05-12 04:13. Whats a pimp to do? Submitted by BirdBrain on Fri, 2011-03-18 21:53. [email protected] down! Classic. Why the hell would Katt Williams need to break into someone's home? It doesn't add up to me. Submitted by fynechocolate on Thu, 2010-12-23 21:22. Submitted by soclever on Thu, 2010-10-07 13:25.